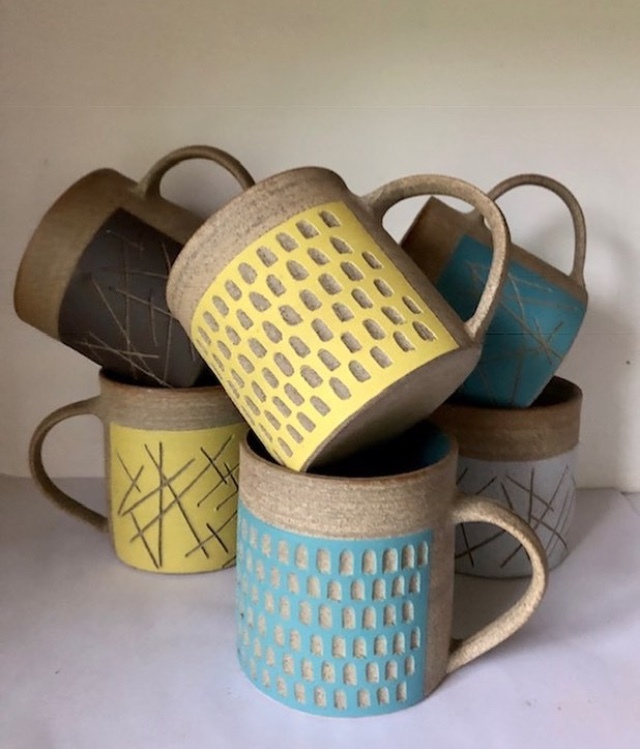 Kate Garwood is an England based potter that has a unique way of incorporating traditional finishes glazes into her contemporary ceramic designs. Garwood’s designs are full of fantastic, bright colours and simple, modern patterns. From mugs, vases and jugs, her designs can fit in with the most bold and vivid of design styles right down to modern minimalist tastes. I love the combination of the rough, natural texture of the unfinished clay with the vibrant colours and patterns. Kate Garwood’s designs are the quintessential example of a traditional craft with a modern edge. All images courtesy of the Kate Garwood Instagram account.